I have been meaning to write this post for a few weeks now…but it is never too late to share a miracle. 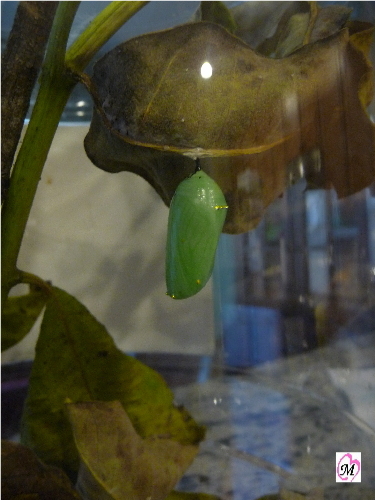 As a child I was fortunate to witness the monarch butterfly life cycle and this summer my 4 year old and 2 year old also got to share in the miracle of watching the monarch butterfly life cycle. 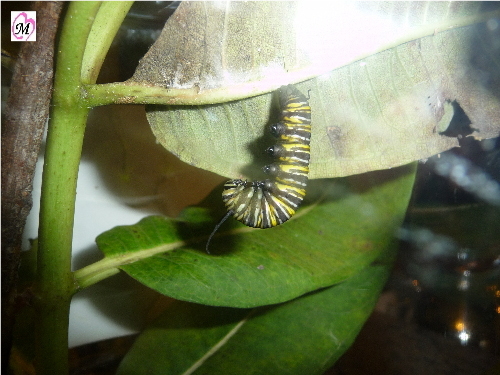 What was extra special this year, was the same day our first monarch butterfly emerged from the chrysalis, I looked in and saw the smallest monarch caterpillar I have ever seen. See picture. There must have been an egg that had been laid on one of the milkweed plants we had in the container for our first caterpillar and this new little caterpillar must have recently hatched and he was desperately looking for some milkweed to eat. The milkweed that was in our container had since dried up. Fortunatley, there were a few milkweed plants behind our house that I quickly found for our new friend. 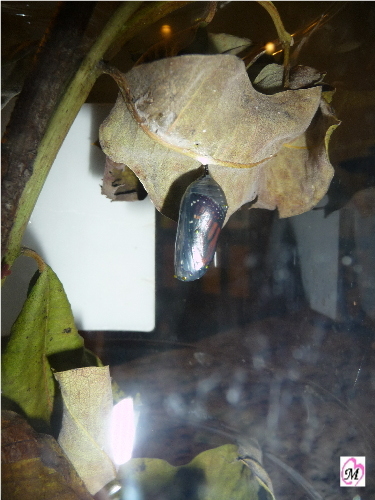 It was amazing how fast this tiny caterpillar became a big caterpillar and was ready to go into his chrrysalis. 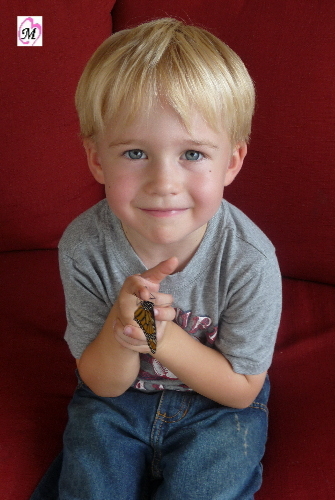 The best part was letting my 4 year old hold the monarch butterfly while the butterfly was waiting for his wings to dry to be ready to fly away. My 2 year old liked watching the butterfly but did not want to touch it. 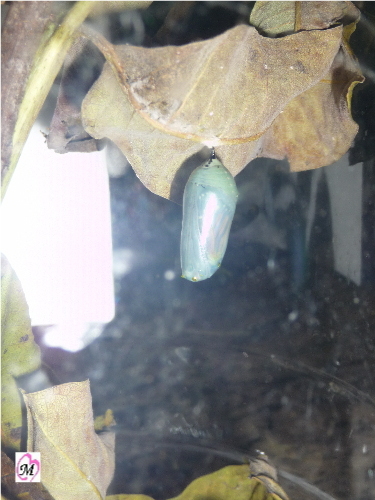 Thank you monarch butterfly for letting us share in the miracle of your life. 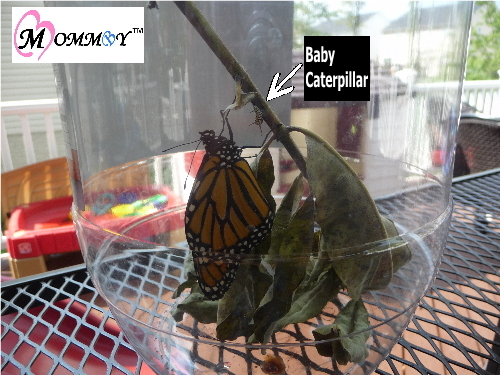 This entry was posted in Making Memories, My Family, Play Time and tagged butterfly, life cycle, monarch, nature. Bookmark the permalink. ← Picture of Week – I’m Two! !